Alpha Moving & Storage offers residential and commercial moves in the Sayreville, New Jersey area! Packing and moving a business is never an easy feat, especially when you’re expanding and have a million other things to worry about. Alpha Moving & Storage understands the stress associated with a commercial move and is here to ensure a smooth transition to your new location. Offering local and long distance moves in the New Jersey area, we are prepared to be there for you every step of the way. We boast a 20 year reputation in the industry, and are prepared for whatever may pop up during your move. Alpha Moving & Storage is also fully licensed and insured, to cover any incidents and accidents that may crop up along the way. We move all over the US from the city state area, so whether you’re opening a new location in florida, missouri, nevada or anywhere else, we’re prepared to do the heavy lifting. Allow Alpha Moving & Storage to be your moving go-to, offering packing and storage benefits as well! At Alpha moving & Storage, we understand the headaches and hassles that come along with moving. Getting all your furniture, clothes, appliances, vehicles, kids, pets, and other personal belongings safely to a new place can be tedious and stressful. Alpha Moving & Storage is here to do the heavy lifting. We have an A+ rating with the BBB, and area fully bonded, licensed and insured. 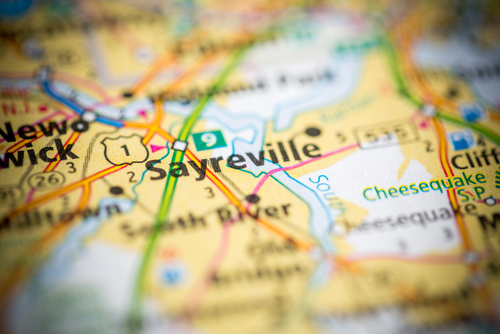 We also offer packing services to be sure your items are packed safely and correctly.Our goal is to get you in or out of Sayreville safely and efficiently with time to spare! If you are preparing your move to or from Sayreville, Alpha Moving & Storage is here to help. We are fully licensed, bonded, and insured. We offer 24 emergency support and last minute relocation to accommodate your needs if something comes up unexpectedly. Our employees all undergo extensive training before going out into the field, so that they are prepared to answer your specific questions and provide tailored solutions. When you hire Alpha Moving & Storage as your relocation company you will get a reliable and trustworthy team. Our goal is to make you feel comfortable every step of the way – from your very first free estimate, through your move, until all of your precious items are safely delivered to your new home. Looking for more information? Check out our services and our testimonials. If you are ready to get moving with Alpha, fill out our free quote form above! Other questions for us? Give us a call or fill out our contact form today.